The To: field is blank. My real credit card company knows my full name and would display it in the To: field. 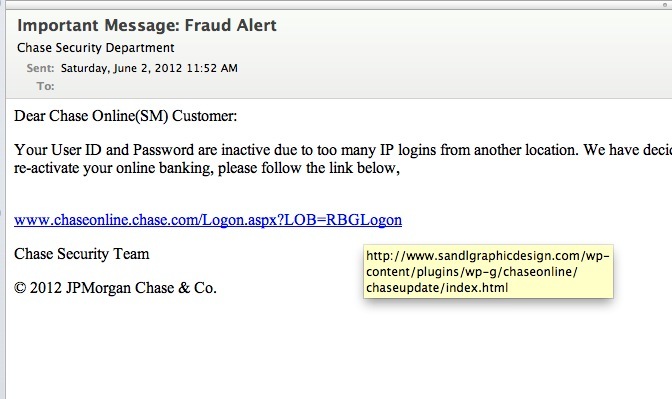 The bogus link is not the address of Chase. When I hover my mouse over the link I can see that the real address is something totally different than what Chase uses. The formatting of this email is using Times New Roman font, which is not how an official email from Chase would look. Hopefully you will be better able to spot the bogus emails from legitimate emails and keep your online identity safer.